Our personalities inform how we approach every part of our lives. From the workplace to friendships and even at home, your distinct style is uniquely yours when you interact with the world around you. This goes for budgets, too. Personalities often impact how you spend, save and manage your money, sometimes positively and sometimes impeding your progress. 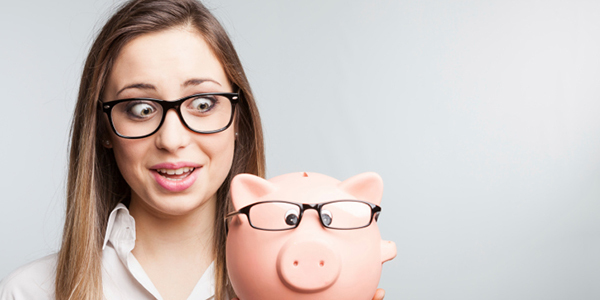 Do you know your budget personality? Check out these four common types and corresponding tips to jump-start your road to better financial health. You just may recognize yourself! You set incremental goals, map out a plan and then make it happen. Save for a big purchase? Check. Increase retirement savings? Check. Put money aside for a down payment? Check. Your drive, ability to focus and discipline help you stick to your plans and achieve what you want out of life, including hitting your financial goals big and small. Tip: You plan for everything, but don’t forget to plan for unexpected expenses like a car breakdown, a broken leg or even three destination-wedding invitations in your mailbox! To keep with your planning personality, tell yourself, “My car will eventually need repair” and “I will have medical expenses at some point.” That way you can anticipate the unexpected. Look at your budget from last year and map what categories you’re most likely to experience surprises. In the world of budgeting, sometimes lightning does strike twice! You fill your life with the things you love: friends, family and hobbies. Money isn’t your favorite topic – it probably doesn’t even crack the top ten. But that doesn’t mean you don’t stay on top of your financial responsibilities. You’ve created a system that does the work for you: automatic bill pay, deposits to your savings account from each paycheck and round-ups into an investment account with each purchase. Knowing your money is managed in the background of life gives you comfort as you go about your business. Tip: Automation is a great way to manage your bills and saving, but don’t become robotic about your budget. You may miss out on opportunities to optimize your money. Look at money coming in and going out of your accounts monthly. You may find that you’re spending money on services you’re not using (e.g. subscriptions) or not taking advantage of offers like credit card points or company EPF. You are always on the go, so your phone is a mobile command center for your life. Your phone helps you understand your daily “to-do list” – alerts and push notifications make sure you’re at meetings, kids’ functions and paying your bills on time…even if it’s by the skin of your nose! You focus your seemingly endless energy to what’s immediately next, often doing three things at once…rarely without a phone in your hand to accelerate your tasks. Tip: Mobile tools have made budgeting efficient and easy, even while in the car or at work. But don’t forget to slow down and think about the big picture. Where do you want to be in 5, 10, and 20 years? Do you have the financial plans in place to make that vision a reality? Though it may be hard to imagine even a week in the future, make time for yourself (and your partner, if someone is along for the ride) to discuss what you want out of your future and make a plan together. Moneyfrog.in is your best companion when it comes to unbaised financial planning. For you, money = worry. As a result, you avoid the subject as much as possible; putting off bills and financial decisions until they become late notices and missed opportunities. Your budget is more “approximation” than exact math, which usually creates more worry than your thoughts on money in the first place! Tip: Start small. Creating a budget may seem like an insurmountable task, especially for someone who feels like they don’t have enough money to cover his or her expenses. Knowledge is a powerful ally when cleaning up your financial act. Start off by tracking everything you spend in one week vs. the money that you bring in. You may discover things you didn’t know about your spending habits. Once you see the value of these insights, Moneyfrog.in can help you establish a budget and set you on a path to be worry-free. What’s your budget personality? Share in the Comments or on Twitter with hashtag #BudgetPersonality. 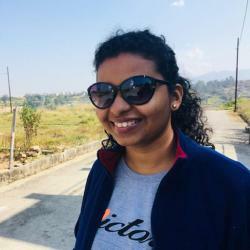 Harshada Kadam is Digital Marketing Manager at Moneyfrog.in, with a bachelor’s degree in IT. She works on the company's digital & online marketing strategy & execution.